Here are some news and notes from today's XFL Press Conference at MetLife Stadium. An exciting day. 17 years after the league's demise. In one of the most improbable comebacks in sports. The XFL is back from the dead. The return was announced last January but it didn't feel real until today. - The Governor of New Jersey Philip Murphy kicked off the press conference. Murphy is happy that MetLife will be the home to a 3rd professional football team. Like most of the dignitaries on hand during the city announcements. Murphy put over The WWE brand and the economic value of bringing the XFL into these stadiums and markets. - Vince McMahon took the stage. He talked about it being nearly 20 years since the original XFL launch announcement. How things have changed in the digital and media landscape. Vince stressed how live event programming is more valuable now than ever. The one thing Vince states that hasn't changed in the last 2 decades is america's love for pro football. Vince says that he is making a huge long term financial commitment to the league. McMahon briefly discussed the differences in play and innovation that the new XFL will provide. Vince announced that the league would be relaunching on the weekend of February 8th and 9th in 2020. A week after The Superbowl. -Oliver Luck received an extremely positive intro from Vince McMahon. Luck took the stage and talked about fan input. He then went over several different bullet points for the league. How the XFL would present a fast paced game that's fan centric with an emphasis on player safety and new technological advancements in the presentation of the game and for it's athletes. -Luck stated that The XFL is designed to compliment The NFL and College football. He revealed that the league has been in talks with The NFL, with discussions ranging in several different areas. Luck mentioned some of the reimagine concepts for the league and how the league has already started testing out their thesis, working with NJCAA in Mississippi the last few days. The committee is supposed to reengage and go over the results soon. Oliver also put over some of his recent hires and mentioned Doug Whaley and Optimum Scouting. Oliver talked about having modified officiating with less infractions and simplification of rules. Luck also mentioned special teams specifically with kickoffs, punts and punt returns. -The league will be testing for Performance Enhancing Drugs. Also mentioned by Oliver Luck was the XFL's partnership with 2 of the world's top insurance companies. Berkley and Fairly. Both companies work for all the major sporting leagues in America. - All 8 teams will have the same budgets. The league will have competitive salaries. Team presidents will be hired for each team and will handle the business end, while the head coaches will act as the team's general managers. - Player signings will be taking place during the first quarter of 2019. Luck talked about the large player pool to choose from of pro and college football players. He cited Doug Flutie as an example of the type of player that the league will be targeting. There will be extensive scouting and multiple drafts. With an XFL draft, as well as a supplemental draft to take place in the summer of 2019. Presumably once NFL teams have drafted and signed undrafted players to their rosters. Luck mentioned that unsigned college players will be a part of XFL rosters. Also mentioned was future league tryouts. - The big news in this department was that The XFL would be partnering with The Spring League in Texas this spring. As a part of scouting but also in testing out potential league rules with players. - The subject of gambling was briefly touched upon. Luck stated that the timing of the launch of the XFL would coincide nicely with the legalization of sports gambling. - As for media partnerships. Luck stated that the XFL would be announcing a rights package in the near future and and that they will be on multiple platforms and that it will be "exciting news". - Luck then talked about the process of awarding teams to cities. That it is more than just renting venues, which he called "EASY". Luck stated that the league wanted to go into venues and markets that would be true partners to the league. - The 8 cities were then revealed in this order. New York (MetLife Stadium), Dallas (Globe Life Park), Houston (TDECU Stadium), Los Angeles (Stub Hub Center), St.Louis (The Dome), Seattle (CenturyLink Field), Tampa Bay (Raymond James Stadium) and Washington D.C. (Audi Field). It was mentioned that The XFL would be the 1st tenant of Globe Life Park. - Each city had reps who were introduced and they all provided brief commentaries about their markets and The XFL. All 8 cities were accompanied with video packages. The XFL league colors were on display but no team names were announced. Although there were some hints during the videos. New York will be called New York, no NY/NJ moniker this time. During their video, The term "where empires are grown" was used. Houston's theme was "Where Great Things Launch" Launchers?..... Of course, The Washington video was amercican flag themed. 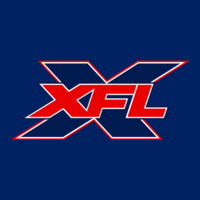 -Oliver Luck closed the press conference by announcing that season tickets for each team are able to be reserved now online at XFL.com. You can make a deposit for season tickets and there are supposed to be perks to it. Also XFL shop has begun selling XFL City themed merchandise. Luck went over all the things he mentioned as future announcements at the open of the conference. He mentioned that team names, colors and logos would be coming soon. No announcement on a fan vote. Last edited by MikeMitchell on Wed Dec 05, 2018 11:37 pm, edited 1 time in total. The return was announced last January but it didn't feel real until today. -Vince says that he is making a huge long term financial commitment to the league. McMahon briefly discussed the differences in play and innovation that the new XFL will provide. Vince announced that the league would be relaunching on the weekend of February 8th and 9th in 2020. A week after The Superbowl. Agree, amazing how long this board had to talk about cities that the XFL would go to, finally that topic will go to rest. Also the long term financial commitment by Vince McMahon tells me he is all in on the XFL. People that say it won't even start or last after 1 season have something different coming. -Oliver Luck (talked) how the XFL would present a fast paced game that's fan centric with an emphasis on player safety and new technological advancements in the presentation of the game and for its athletes. I agree with the player safety advancements in the XFL, I mean some people want hard-hitting football, but that wouldn't last long especially if someone ended up like Ryan Shazier in the XFL. That would be a death blow to a new league. -(Luck) revealed that the league has been in talks with The NFL, with discussions ranging in several different areas. The committee is supposed to re engage and go over the results soon. Oliver also put over some of his recent hires and mentioned Doug Whaley and Optimum Scouting. Oliver talked about having modified officiating with less infractions and simplification of rules. Luck also mentioned special teams specifically with kickoffs, punts and punt returns. I hope they keep kickoffs and punts, even if it's like the NFL where everybody just fair catches or takes a touchback. -The league will be testing for Performance Enhancing Drugs. Also mentioned by Oliver Luck was the XFL's partnership with 2 of the world's top insurance companies. What were those two insurance companies? Just wondering, because that's some good news! Also PED testing is the way to go. All 8 teams will have the same budgets. The league will have competitive salaries. Team presidents will be hired for each team and will handle the business end, while the head coaches will act as the team's general managers. Coaches as GM's? Interesting idea. Not sure where they're going with that. All the same budgets is smart though. Player signings will be taking place during the first quarter of 2019. With an XFL draft, as well as a supplemental draft to take place in the summer of 2019. Presumably once NFL teams have drafted and signed undrafted players to their rosters. Luck mentioned that unsigned college players will be a part of XFL rosters. Also mentioned was future league tryouts. Another thing to look forward to! A draft in summer 2019+ Player signings in January-March. That's something to keep an eye on in the Texas Spring League. I'm guessing they'll have a streaming app+ be on NBC+NBCSN...Maybe Fox? It was mentioned that The XFL would be the 1st tenant of Globe Life Park. That's big! Being the 1st tenant of a major stadium as an expansion league is amazing! Take that AAF! Although there were some hints during the videos. New York will be called New York, no NY/NJ moniker this time. During their video, The term "where empires are born" was used. Houston's theme was "Where Great Things Launch" Launchers?..... Of course, The Washington video was American flag themed. (Luck) mentioned that team names, colors and logos would be coming soon. No announcement on a fan vote. Last edited by XFL_FAN on Sat Jan 19, 2019 7:57 pm, edited 1 time in total. Audio recap from "This is the XFL Show". Great stuff. I checked out both shows and I am an avid listener. People are going to start coming out of the wood work with XFL shows and that’s a good thing. The more support, the better but your show has been on top of the league since day one. 45 weeks worth of shows when there wasn’t much to talk about. Looking forward to the team name debates and player/coach speculation during what is as you guys mentioned The XFL’s 1 year preseason.